How Secure are External Lockable Noticeboards? External noticeboards are an important essential for businesses and public institutions who wish to extend their marketing outside of their premises. When mounted out in the public domain, it can be hard maintaining your posters, therefore, it is important you keep your marketing information free from vandalism as much as possible. Outdoor advertising is vital for businesses to notify people of who they are, what they do and how to get involved in the activities they are promoting. We offer a wide range of outdoor noticeboards which offer safe and professional outdoor advertising, but the question still remains, how secure are they? Our external wall mounted noticeboards are one of our best-selling solutions for outdoor advertising. They are manufactured to an extremely high specification from a high-grade aluminium which is fully weatherproof and free from rust. The 45mm wide aluminium extruded frame is strong and durable and is finished with a 2mm strong plastic cover to protect your posters and notices. The internal seal ensures the outdoor noticeboard is completely watertight and enables you to effectively promote your notices inside. Although it is our bestselling solution, the external noticeboards are our entry-level range with prices starting from just £39.00. Our secure lockable external noticeboards are the next step up when it comes to secure outdoor advertising, with this range being the highest specification lockable poster frame that we offer. They are suitable for use in outdoor and public locations where a high level of security is needed. They are manufactured from a heavy duty 55mm extruded aluminium profile and lock system as well as high spec stainless steel hinges. These frames come in a durable, hard wearing silver anodised finish as standard, but we offer powder coated coloured frame options as an alternative. The posters are protected by a 2mm strong plastic glazing and watertight seals which prevent any moisture getting inside the poster frame. The Weathershield lockable external showcase costs slightly more but is one of the most vandal proof outdoor noticeboards that we have available. They are designed specifically for use in schools and educational environments where noticeboards can receive a lot of unwanted attention when it comes to vandalism. 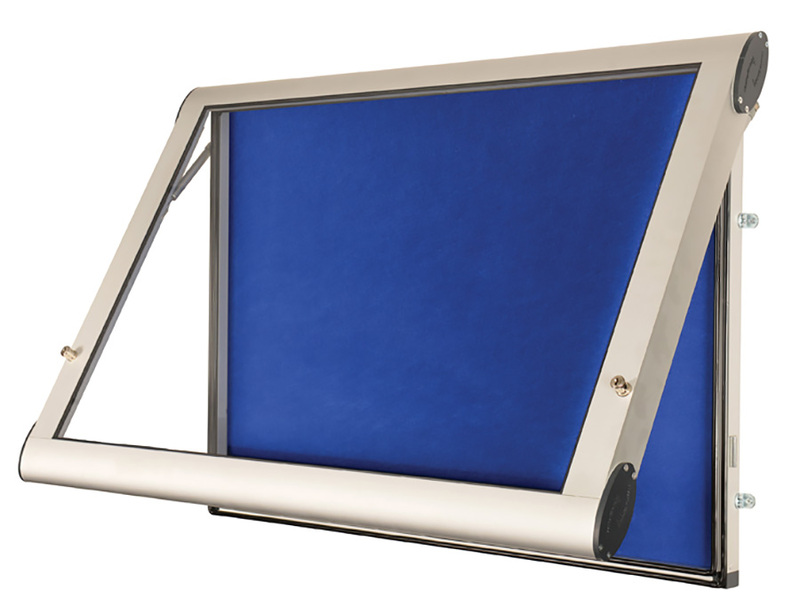 These notice boards are manufactured from a strong anodised aluminium frame which features a hinged, double locking door with concealed barrel locking mechanisms. 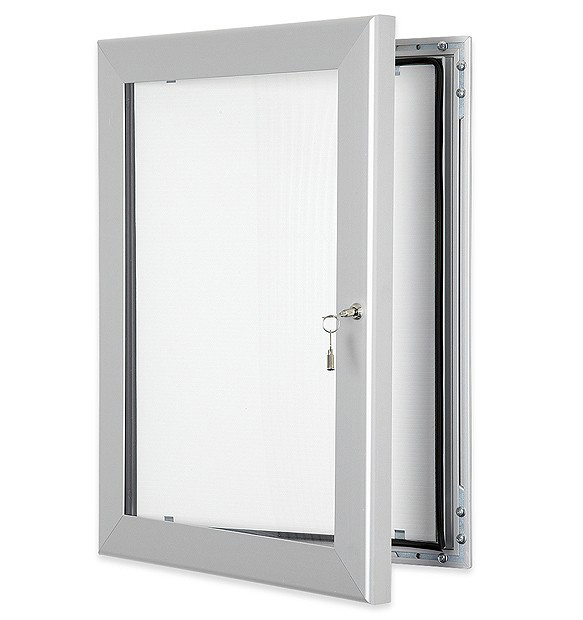 The thick door panel utilises a fire rated and virtually shatterproof polycarbonate PETG glazing panel which prevents any unwanted hands from getting inside the frame. In addition, it features a uniquely designed double seal and fully enclosed case which allows no rain or moisture inside. It has been tested and accredited to the Ingress Protection standard IP55 European Standard EN 605299:1992 against both dust (solids) and water (liquids) ingress - also known as 'rainproof test'. The Weathershield really is one of the most secure external noticeboards on the market. 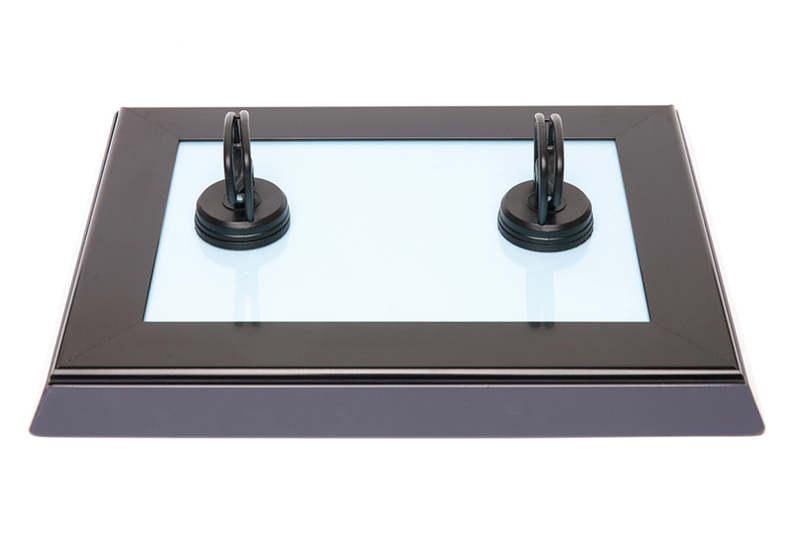 The keyless external noticeboard is a tamperproof solution which is perfect for use in indoor and outdoor locations where tampering and vandalism is a worry. This noticeboard doesn’t feature any locks that can be tampered with, making it an extremely secure outdoor noticeboard. Instead of keys, the door can be completely removed from the poster frame using suction cups. This means no unwanted fingers can tamper and unlock the poster case, and the door can only be removed using the supplied suction cups. 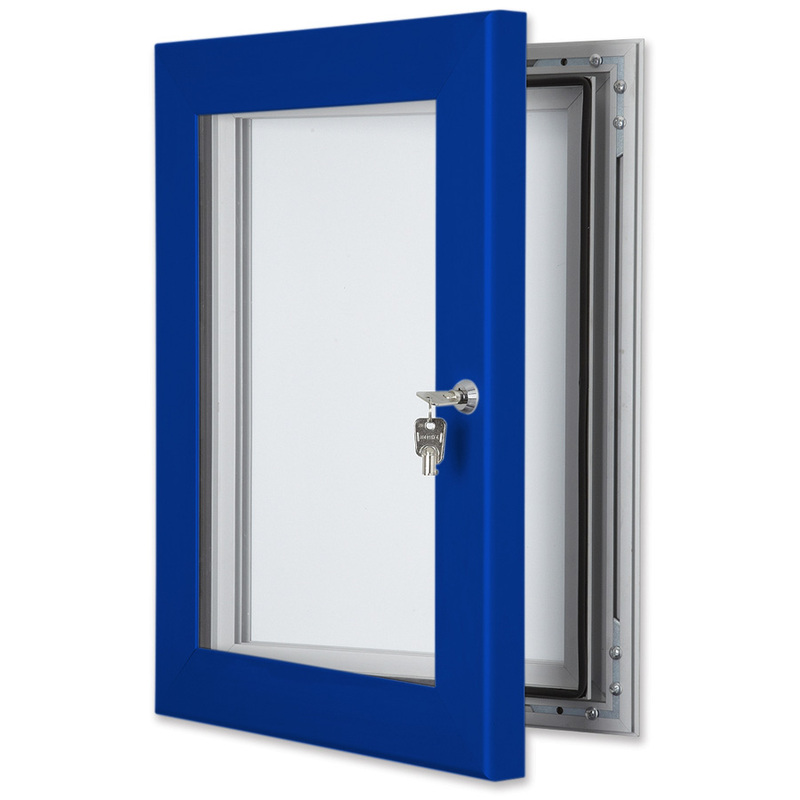 The anodised 45mm aluminium frame features welded corners for extra security and is powder coated in a choice of 12 colour finishes. The slanted frame ensures rain immediately runs off keeping the internal notices dry and it features an internal seal which prevents any moisture from getting in. For more information on our external noticeboards please contact us or call us on 01733 511030.